Make a Friend Day on February 11 is an unofficial holiday that encourages people to stop and take stock of their friend list and make new friends. Make a friend, or two, or three today. Humans are social animals and we need friends to feel fulfilled and happy. But sometimes in the daily rush of our lives not only do we tend to ignore our old friends, but we also forget to make new friends. Make a Friend Day inspires people to step out their comfort zone and try to meet new people and become friends with them. Making new friends can help people broaden their horizons and learn about different cultures and parts of the society. 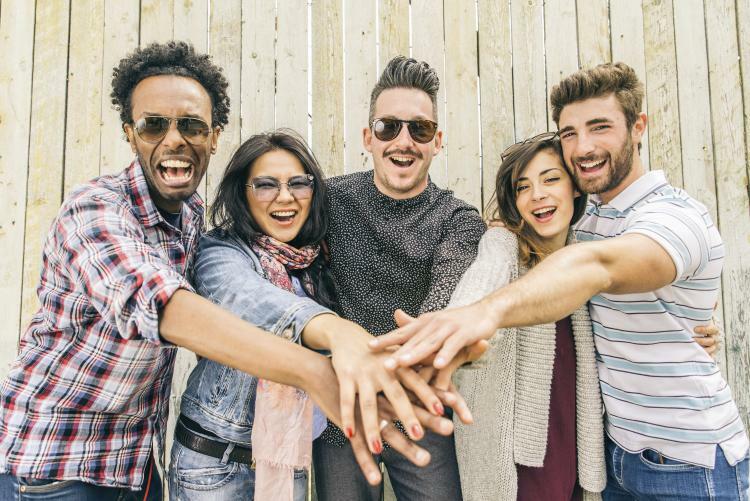 Research has shown that people with diverse group of friends are more tolerant, open to new ideas, and empathetic than people who have a small or a non-diverse group of friends. Say hello to new people and make new friends. Attend events in the city where you can meet like-minded and interesting people. Be adventurous and attend an event that you may never have thought about attending. Who knows you may even meet your future best friends there! …that studies have shown that on average people will remain long-term friends with 1 out of every 12 people they consider to be friends? Enjoy this Jewish American dish popularized in New York City for breakfast. Umbrella Day on February 10 is an unofficial day dedicated to the humble umbrella. Clean Out Your Computer Day is a made-up holiday that encourages people to clean their desktop and organize files on their computer. Let go of regrets once you have learned from your mistakes.